The rights and safety of bicyclists are protected under state and local law. However, when drivers are negligent and unaware of a bicyclists rights and an accident happens, the bicyclist can sustain severe if not fatal injuries. If you or a loved one has suffered a serious injury at the hands of a negligent driver while riding a bicycle, you are encouraged to seek full compensation for your injuries. The Halpern Law firm handles all types of bicycle accident claims and has done so for more than forty years. We are also avid cyclists and understand the challenges bicyclists face out on the road. As a result, we are strong bicycle safety advocates and have worked on local projects to make Southern California streets a safer place to ride. In 2012, in the 726 people lost their lives in bicycle/motor vehicle crashes in the U.S. That’s just fewer than two people every day of the year. 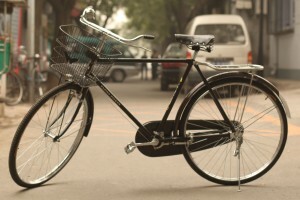 The number of estimated bicyclist injuries climbed to 49,000 in 2012. The Halpern Law firm goes after negligent parties and holds them accountable for our clients’ injuries. We are also resolute in obtaining a settlement for the accident that considers all the client has had to endure such as pain and suffering, lost wages, pain and suffering, medical care and costs and property damages just to name a few. Schedule a free consultation to speak with one of our Southern California bicycle injury attorneys about your case. We listen to your case and inform you of what your legal options are. Contact us at (818) 785-5999 today. These cases are handled on a contingency basis, meaning you won’t be charged any attorney’s fees unless we win.